If it’s one thing most people agree on, it’s that moving from one place to another is a chore no one enjoys. Whether you struggle with getting time off approved at work, or the hours of labor involved, few people appreciate the challenges of moving. Even if you’re merely moving from one area of Loganville GA to another neighborhood, the process rarely gets any easier. However, when you hire an experienced team of local professional movers, it helps ease more of your concerns each time. At Tektris Movers Loganville, we’ve remained the trusted choice in complete moving solutions for more than five years of dedicated service. Whether you need help preparing your belongings for their next destination or assistance in getting your new residence in order, we offer it all for less every day. Why should you continue paying premium pricing for a couple of movers and a truck? Instead, we help you haul more items for less quickly on every move. ​Few things are as frustrating as hiring a moving service, only for them to sit idly in their truck waiting for you to fill it. Or, worst yet are those service providers who do little more than cram your things in boxes and relocate them unsecured. Choosing us means getting the respect your belongings deserve, as well as a better quality of service and lower pricing. We strive to stay the best choice for more local area residents for any situation. We provide the convenient and affordable expert moving service to more Loganville residents than anyone else. Call today for a free moving estimate and see what you can save on your upcoming relocation. Although most people think of the moving process as taking boxes and sending somewhere else, the task takes more steps than just that. You must find the time to prepare your move, store your items, transport them, and then get settled once more, all without missing work, school, and other daily obligations. More often than not, handling it all by yourself soon gets overwhelming and expensive. When you purchase your packing materials from a retail store, you spend too much on even the most basic of items. Instead, we provide experienced moving contractors and affordable supplies, allowing more residents the freedom they need to take care of it all. When you save more time and money at every step of your moving process, it helps ease more of your frustrations in the process. Why should you continue struggling with all of your moving day antics when there’s a fast, affordable, and friendly solution? Call us today and experience the better way to relocate your belongings. 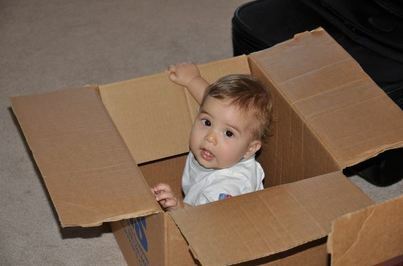 Usually, when someone moves, they think they can save more by renting a truck and transporting their things themselves. When you haul your belongings this way, however, you’re spending more in rental fees and wasting a ton of time. Tektris Movers Loganville assist more people daily with affordable rates and convenient service. Call today to hear what you can save by hiring us. We remain passionate about moving. Choose us and save more. And more professional moving service solutions. Best Professional Moving Service in Loganville, GA.
​Our team understands that even short distance moving becomes a strain on your schedule and your wallet. Wherever you happen to relocate to, we want to assist you any way that we can. We provide complete moving services throughout the community, helping more people save throughout the city. Our drivers know Loganville well, and we guarantee faster arrivals and safer transportation for your belongings. When you need a local moving service that stays within your community, we make your job simple each time. Don’t wait around for a moving provider from outside the city to commute to your location when we remain the convenient choice.